The MBA is a highly demanding Master’s programme. It’s a significant investment of both money and time preparing for and completing your MBA course. As demand increases and admissions become more competitive, preparation is vital – for your application and your MBA coursework. 1. Why do you want to study an MBA course? MBA applicants are driven by various factors, including career development (either getting a promotion or changing industries), salary increases, networking opportunities, and self-fulfillment. Before beginning your MBA journey, it’s vital that you honestly answer these questions for yourself. It will dictate what programme you take and at which business school. The format of your MBA course (full, part-time or online) will also be defined largely by your reasons for taking the course. As an example, a global GMAC study found that online MBA students spent less time, on average, learning through lectures and case studies, but showed that much more time was spent working on group projects and in discussions – when compared to other MBA formats.1 If you were taking an MBA primarily as a means to expand your professional network, this would be a viable option. Every MBA course is different. Some focus heavily on building leadership qualities, whilst others are more analytical and strategic in nature. One degree might specialise in information technology, and another could major in marketing or sustainability. The London School of Economics and Political Science (LSE) for example, has developed the MBA Essentials online certificate course, which is an online MBA course that focuses not only on the hard financial and strategic skills necessary for contemporary business leaders but also on the soft skills that allow managers to expand their influence over a multitude of stakeholders. Answering the question of why you want to study an MBA provides early guidance in selecting a business school and MBA programme. If you haven’t already, spend some serious time researching potential schools. Weigh the quality of the programmes against cost, country and format. Tip: when considering the cost of potential MBAs, bear in mind that there is often a lot of travel during your studies, both formal and informal. Take this into account when budgeting. If you’re looking for an MBA course that focuses heavily on sustainability, for example, use MBA rankings by specialisation (such as those of Financial Times) to research top business schools in that field. Investigate each prospective business school and MBA programme. Then search for alumni on professional networks, such as LinkedIn, to gain insight into their career development and informal opinions of the school and programme. The Graduate Management Admission Test (GMAT) is used by most business schools and universities as a screening tool. Achieving a respectable score is of the utmost importance. Fortunately, this is one aspect of the MBA application process that’s completely within your sphere of influence. There are a plethora of preparation tools, practice exams and classes to prepare for the GMAT – use them. As part of your MBA course application, you’ll need to submit your resume and professional references. Any shortcomings therein could be at the cost of your acceptance. Ensure your application is iron-clad by focusing strongly on your most recent and relevant work experience. No one in the admissions department cares what you did seven years ago. Business Schools also pay specific attention to your extracurricular activities, so be sure to include these. If you find them to be lacking, use the months leading up to your application to enrol in some. Volunteer work never looks bad on a resume, so consider community engagement or mentorship programs. There’s no shame in asking for help – this is why networking is so vital. If you feel you need professional assistance, get it. When arranging references, or letters of recommendation, don’t fall into the trap of asking a big business influencer you hardly know. Personalised and thoughtful references show your impact on the lives of others and their work. Of equal importance is your management of your referees. If they don’t submit their recommendations on time, what would that say about your people skills and management abilities? The MBA Essentials, presented by the University of Stellenbosch Business School – Executive Development and GetSmarter, does exactly that. The online short course is designed as a preparatory course for an MBA. It arms you with practical skills and knowledge in three of the most challenging MBA course subjects: economics, quantitative methods and managerial accounting. This enables you to hit the ground running when you begin your MBA – allowing for more time to focus on developing your soft business skills. The course also strengthens your application and allows you to gauge your appetite for the MBA course (if you’re still unsure). Reading more prior to your studies will help you avoid fatigue when studying. Moreover, it will aid in your knowledge of business, leadership and global markets (provided you select the right reading materials). This makes you more valuable as a potential employee and MBA applicant. If you have your eye on a particular industry or company that you’re hoping an MBA will help you break into, that’s always a good place to start. The opportunity to rub shoulders with future business leaders is half the reason anyone signs up for the prestigious degree. Networking capabilities are some of the most valuable skills an MBA student can possess. Prior to your MBA course intake, practice your networking skills in any way you can. Make a conscious effort at both corporate and social events. The MBA Essentials online short course provides an opportunity to practice these soft business skills. Although the course focuses on technical business topics, continuous interaction with your peers and student success team enables you to begin expanding your professional network and practice your networking skills. Undertaking an MBA is no mean feat. There are many ways to prepare. The above are some of the more important ways in which to do so. The MBA Essentials online short course from USB-ED and GetSmarter is designed to aid students in preparing for an MBA degree, and to strengthen their application. For those currently unable to enrol, the online short course offers an alternative way to gain some of the more technical business skills gained from an MBA. 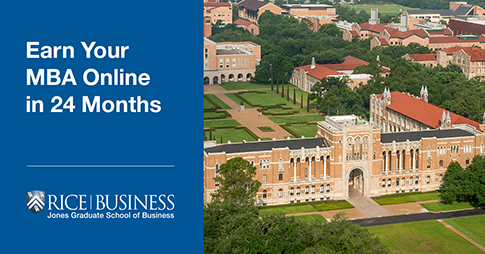 Learn how mastering MBA skills online could skyrocket your career. Gain MBA skills with the MBA Essentials online short course from USB-ED.